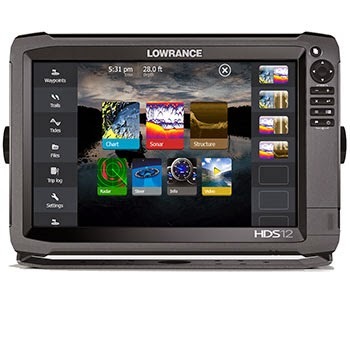 Team Colibri: What is the difference between Lowrance HDS Gen 2 and HDS Gen 3? The cyclus in which models change have become shorter and shorter. Is there any real difference between them anymore? When I started out in this game most people would say that their sonar should stay onboard for 8-10 years before they would even consider upgrading it. Everything with less then 5 years on it was considered "new". But as with all things containing a circuit-board, development has been ever accelerating and we are now down to a two or three year cycle between model-changes. I belive that this is to the consumers advantage, but is "the new" always better then "the old"? In most cases the answer to that question is "yes", but it`s up to you to decide if that difference is big enough for you to spend your hard earned cash. Technically it is easy to spot the differences, but whether you will notice it out on the water is a more subjective mather. In this article I will try to look behind the marketing, and point to the actual differences that would be noticable while fishing. Better screen, glass glued to plastic instead of plastic glued to plastic. Better sonar, with built-in single band CHIRP added to the 2D-sonar in the older models. Video-in option on all models. Gen 3 has crosstouch, ie both thouchscreen and enough buttons for all operations to be handled by both. Gen 3 has two memorycardreaders on all models (only on the largest of previous HDS-models). Gen 3 can display 2D CHIRP and Structurescan (both DownScan and SideScan) at the same time in splittscreen. Gen 3 has a faster processor. What usually happens when a new model comes out, is that the older version gets a few softwareupdates and then future updates only aplies to the new model. I have no doubt that we will se our last update for Gen 2 and Gen 2 Touch sometime soon, the future updates will only aply for Gen 3. What does these technical differences mean out on the water? In all processes, the outcome depends on your starting point, and your choices through the process. It`s the same thing with marine electronics. If your starting point is HDS 5 Gen 1 (button-only model) all the stuff on the technical list will be new to you and you will probably notice all of them. If your starting point is an HDS Gen 2 Touch 12, and you already have modules like SonarHub and Gofree WIFI connected to it, those differences are (in my opinion) marginal. 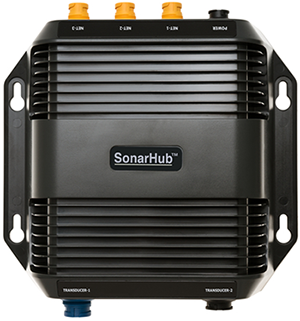 If you do not have CHIRP today, built-in like Simrad NSS Evo2 or through modules like SonarHub or BSM-2/3, then that might very well be the biggest difference out on the water. Please note that while you can CHIRP with OEM Lowrance ducers like HST-WSBL, the full potential of this technollogy is unleashed when you combine it with a "real" CHIRP-ducer like Airmar TM150M. The difference is noticable, especially in deeper water then 10-15 meters (30-45 feet). If your present unit is HDS Gen 1 or an even older unit, the difference in processing-speed will be noticable. No more waiting for pages to load. no more issues with maps not updating fast enough while on plane. Can HDS Gen 3 and older units work together? The technical aspects of NMEA0183/NMEA2000 and ethernet are the same from HDS Gen 1 to HDS Gen 3, so yes they can work together. 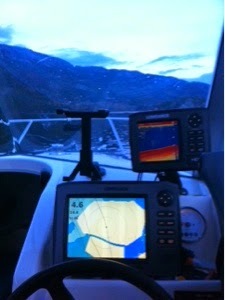 The photo below shows three generations of Navico-equipment networked with eachother, on the dash of my boat. One of them is not even a Lowrance. 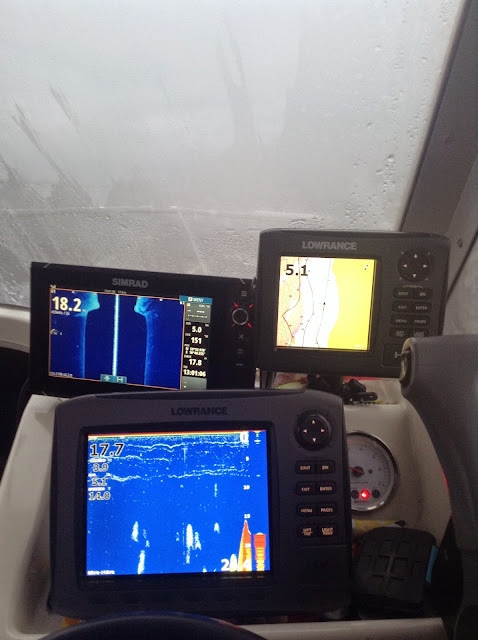 Top left is Simrad NSS Evo2, top right is Lowrance HDS 5 Gen 2 and midle low is Lowrance HDS Gen 1. The àbove was what I used for 6 months in the winter of 2014/2015, below is my current setup. HDS Gen 1 and HDS Gen 2 on the dash, all networked with the HDS Gen 2 Touch on my aft deck. Keep in mind that functions on new units that are not supported by the older units will offcourse not work across the network either. Here are a few examples of such functions. Gen 2 and Gen 3 will share maps, since both support it. But a Gen 1 in that network will not share maps in any way with the other units. 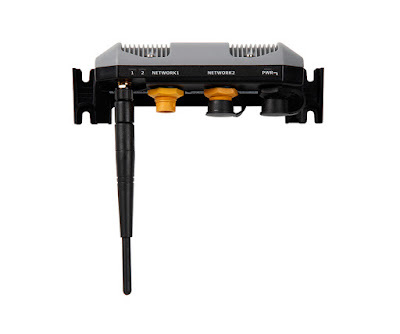 Gen 2 and Gen 3 are compatible with Motorguides Xi5 trollingmotor through NMEA2000, Gen 1 is not. Data from the Xi5 will show on all the compatible units in the network, but not on the Gen 1 in the network. Are there any disadvantages with HDS gen 3? Yes, the pricetag beeing the major flaw. When writing this I see ads for HDS Gen 2 Touch including ducers well below the price of just the HDS Gen 3. The difference is easily 40-50% when the price of the ducers come in to play. HDS Gen 3 is only available in the "widescreen" format of 16:9. This is good news when running splittscreens like maps and sonar at the same time, and SideScan is offcourse at its best on 16:9. But for regular sonar and regular map not run in splittscreen, the height of the screen is way more important then the width. As with most units on the market today, the 7" and the 9" share the same resolution. Ie the 9" only shows things BIGGER, it does not show you MORE then the 7". 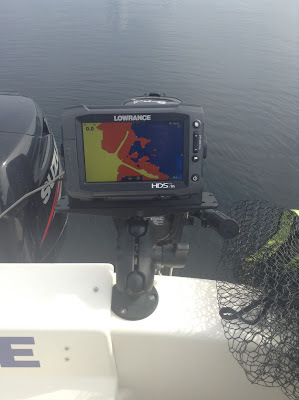 It is my belief that it would do Lowrance good to break avway from the rest of the units out there, and bring the resolution on the 9" up a couple of steps. For someone as finicky as me, only the 7" and the 12" are worth my money. "The cyclus in which models change have become shorter and shorter. Is there any real difference between them anymore?" Yes there is a difference. I would even argue that the difference between HDS Gen 2 and HDS Gen 3 is more noticable then the difference between HDS Gen 1 and HDS Gen 2. Whether that difference is worth paying for, is up to you.